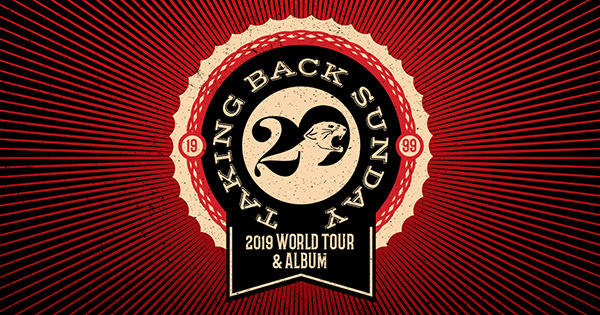 2019 will mark two decades as a band for Taking Back Sunday. To celebrate, the group will embark on an extensive worldwide tour and release a career-spanning compilation. Tour dates can be found below. "It feels strange to say out loud...2019 marks 20 years since I joined Taking Back Sunday and my life changed forever," remarks singer Adam Lazzara. "So, next year we will be traveling the world to celebrate the amazing brotherhood, music and life we have created together over the past 20 years. We hope you can join us for what is sure to be an experience to remember." Titled Twenty, the 21-song collection is set for release on January 11 and will span all seven of Taking Back Sunday's full-length albums, in addition to "a couple of surprises."